One of the most breathtaking sites in all of the Adirondacks takes place between the towns of Hadley and Lake Luzerne. 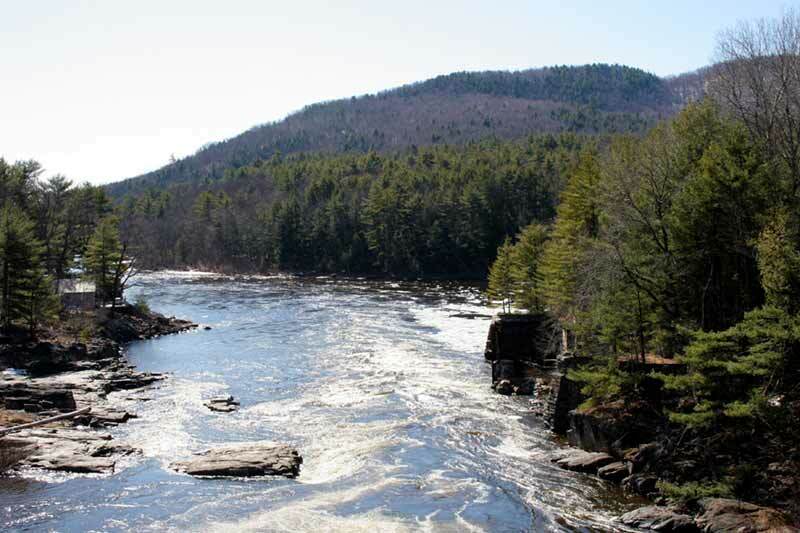 This is the site of Rockwell Falls, a 10-foot waterfall just upstream from the meeting point of the Hudson and Sacandaga Rivers. Not only are the rivers a primary source of beauty in Hadley, but they also provide plenty of opportunities for water-based activities such as paddling and fishing. Winter brings snowmobiling and cross-country skiing in addition to ice fishing. Up for a hike? Hadley is home to the historic Hadley Fire Tower atop Hadley Mountain. History buffs will also want to check out the Bow Bridge, built in 1885. Located just minutes from Lake George and Saratoga Springs, Sacandaga Outdoor Center boasts the best location on the river. Where the Hudson and Sacandaga Rivers meet in Hadley, NY, you’ll find the best rafting, tubing and kayaking around! The King's School is a k-12 private Christian school located in Lake Luzerne. The school strives to produce students who are critical thinkers, service-minded, and able to learn using a variety of methods. Stewarts Pond Campsites offers Adirondack Camping amidst the beautiful mountains of upstate New York!